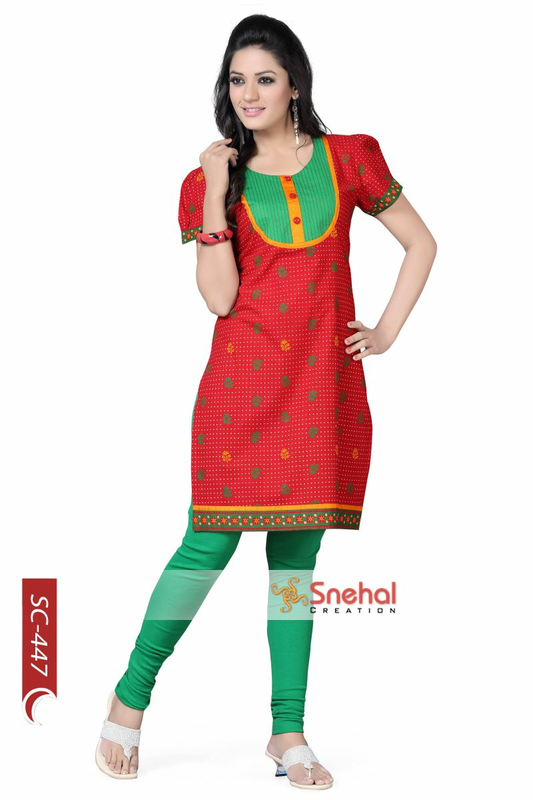 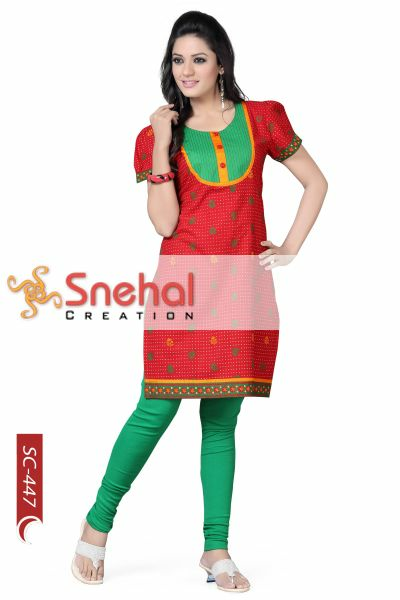 A colour blast of red, yellow and green, this Desi Allure Designer Cotton Short Tunic for Women is one of its kind piece by Snehal Creation. 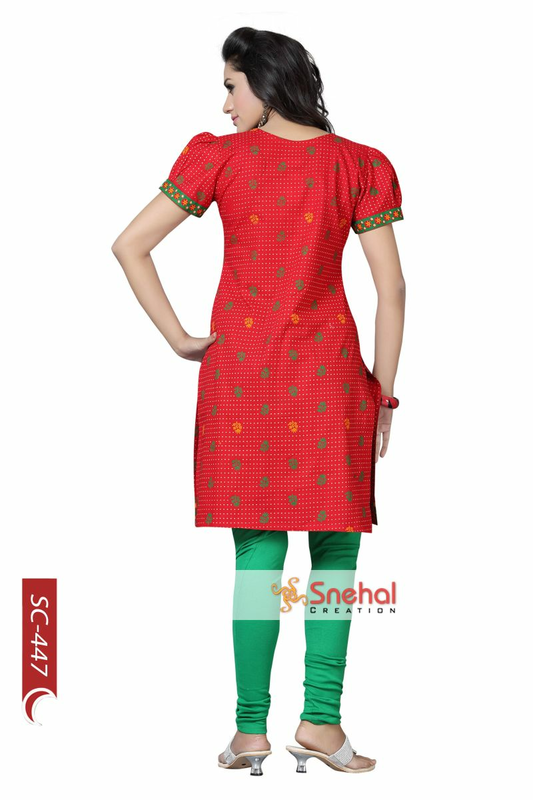 The base fabric of the tunic is red printed Cotton, underneath a round neck and a green neck patch with buttoned neck panel. Short puffer sleeves lined with a multi-coloured border similar to that of the base of the tunic give it a fancy look.